Looking at re-invigorating this thread. Mainly because I've long pondered building a Time Traveler cab and many years ago built up some spare parts including the original LD (which still works), the controller PCB and also I have a Holusseum PCB. Anyway, the biggest obsticle was making the mirror and recreating the visual effect. There are many myths about this from what I've been reading over the years. 2) The glass across the top isn't anything special in way of a lense. I think it's main purpose was to protect the dome from dust and also place those conceptial shapes (cube, sphere, etc) to help the eyes focus on the screen. So basically, whilst I have lots of spare parts - most notibly the LD itself (which I'd like to rip to a high quality video to get the original outlay, instead of the doctored DVD version). I wondered if anyone was still interested in Time Traveler and (to start with) actually had the exact measurements of the cabinet? 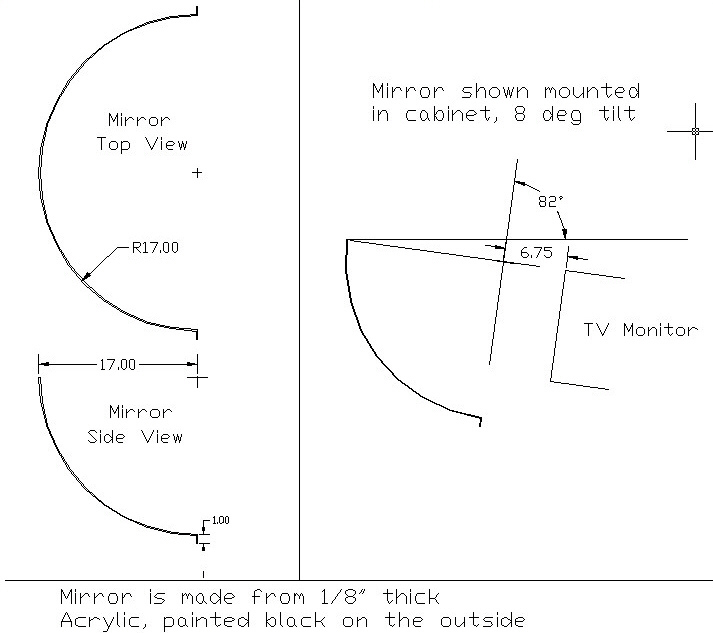 Where you able to find out the size of the mirror from corner to corner? Page created in 0.281 seconds with 23 queries.